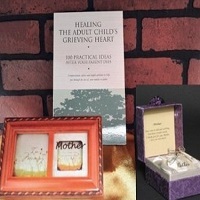 Attempting to write a sympathy note for loss of a mother is not the easiest step to take. For some this is the biggest loss of their entire life. How and what can you say to make a loved one feel like they will get through this and that there is light at the end of the tunnel? You do your best, you send the sympathy card and show your friend that you are thinking about them. 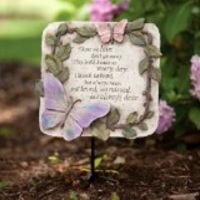 Condolence phrases are difficult regardless, but when it is your friend's mother that they have lost you need to make your words stand out. My goal for posting this information is to give you some help and a vote of confidence for whatever you do, it will help. It's the smallest gestures in life sometime that mean the most. The card you send will be read over and over by your friend who will be recapping their experience such a great loss for months to come. Please feel free to mix and match when you write your sympathy note. You can start each sympathy saying with "Dear_____________"
1) I have no idea what you must be going through in losing what I think is the one of most important compasses in our lives. I know your mom was that to you, and with this loss comes so many layers of heartache. Please know my heart is open to giving you anything you might need during this time of incredible loss. 2) I am speechless. This loss is beyond words. Please know I am here for you morning, noon, and night. I can't imagine the pain you are feeling and if there was a way to take it away, I would. I would truly do anything to take it away. I am just so sorry. I love you. 3) Your mom was such a lovely woman. I often think about all the times we spent together and all the amazing meals your mom cooked. She was such a pleasure to have around. I have learned so much from her and will remember her always. I love you and am truly sorry for your loss. 4) My heart aches for you and your family during this time. Your mother was such an amazing person and she will truly be missed. My condolences. Ready to exit Loss of a Mother? 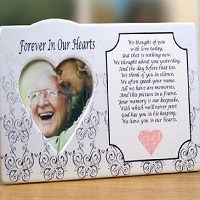 Visit Condolence phrases for more to choose from. 5) I am at a loss for adequate words to express my sadness for you. I had the blessed opportunity of knowing your mom and I know heaven just received one of the most special angels. You are a reflection of your mom in the way your treat people with respect and empathy. Not to mention the way you make each person feel loved. I am so sorry for your loss. Include the ever so helpful "Myth of Closure" in your sympathy card. 6) I imagine there is no worse time than the loss of a mother. Your mom was truly one of the most open and giving human beings I have ever met. I am so blessed that I was able to spend so much time with her. I have learned life-long lessons through her kindness and in her memory, I will walk through life with a bigger heart. I will be here for you every day, for as long as you need me my friend. I love you. 7) I'm having such a hard time making sense of your mom's passing. She was the example for all of us to follow the way she embraced life and consciously lived by her own motto, "Learn something new every day". I know the shoes must feel big to fill, but you live boldly and courageously as well. You are truly the imprint of your mom. 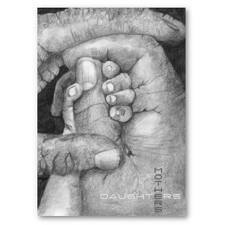 8)I am standing by your side in my prayers every night. Your mom touched so many people's lives, and I know we are all enriched by it. 9) I know you must feel so alone on this journey of losing your mom. I want you to know that I am here for you whenever you need a hug. 10) Love yourself right now and don't forget to be kind to your heart. God will handle the rest.